Flamingos “flock” at the University of Wisconsin Madison, voted to be the official “state bird”. “Today is the Day of the SBC Phoenix” — headline in the Lynchburg News and Advance. The Lynchburg News and Advance beat me to it – the phoenix image, that is. I already had a post written for today, but I hadn’t found the right phoenix image. Since a phoenix is not a real bird, the only pictures of phoenix are of Chinese kites or strange tattoos. In my search for a phoenix image, I came upon the amazing history of the pink flamingos most of us recognize. It turns out, these birds have something in common with Sweet Briar College. 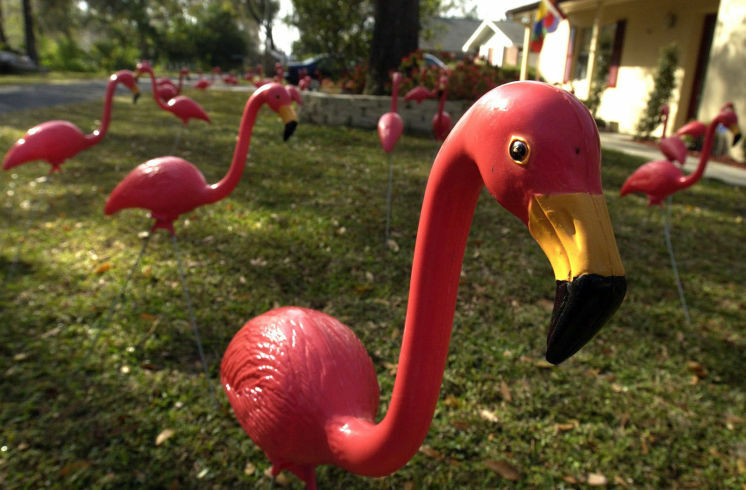 The original designer of the pink flamingo, Don Featherstone, sold them as a pair. One was looking towards the ground and the other looked boldly forward. Now you’re seeing where I get the flamingo image, right? These two images reminded me of the state of Sweet Briar both in March of this year and today. 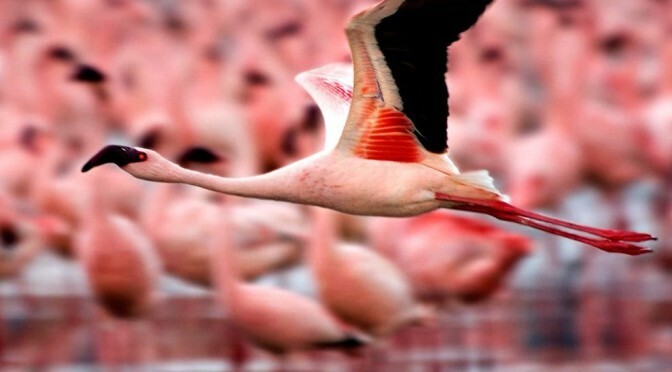 Union Products, the manufacturer of the “perfection in pink” flamingos made them for over 50 years, but in 2007 announced the factory would be forever closing. They cited competition, lack of interest, financial challenges, and said, “No one buys these anymore”. Sound familiar? Fortunately for the legacy of Sweet Briar College, there were some alumnae who looked boldly forward. They saw a different future and it wasn’t going to be closing. They honored the vision of the founder and protected her original intent through legal battles which ultimately were successful in the Virginia Supreme Court. Settlement talks facilitated by the Attorney General allowed for a path forward. 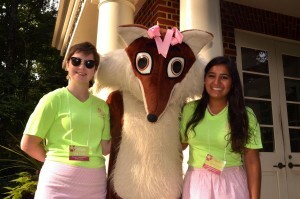 Generous alumnae from all over the world flocked together to save Sweet Briar. 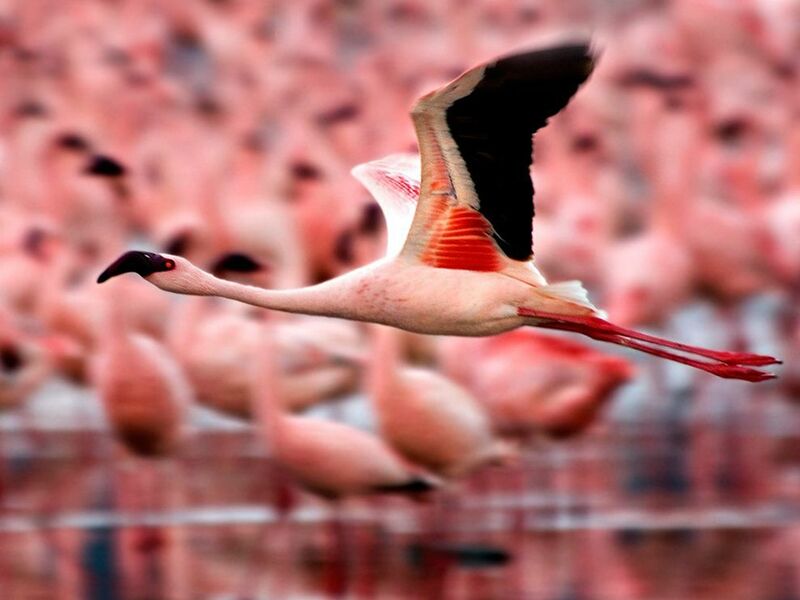 Fortune and generosity saved the “pink perfection” flamingos from extinction. 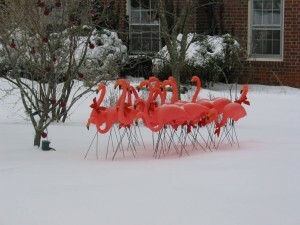 Cado, in New York, bought the company and returned the flamingos to production. The Smithsonian magazine in an article about the iconic lawn ornament said, “But then, phoenixlike, the flamingo rose from its ashes (or rather, from its pool of molten plastic….” People began having “flocking” fundraisers, college students used them in dorm rooms. A market reemerged. Don Featherstone even won an art prize for his design. 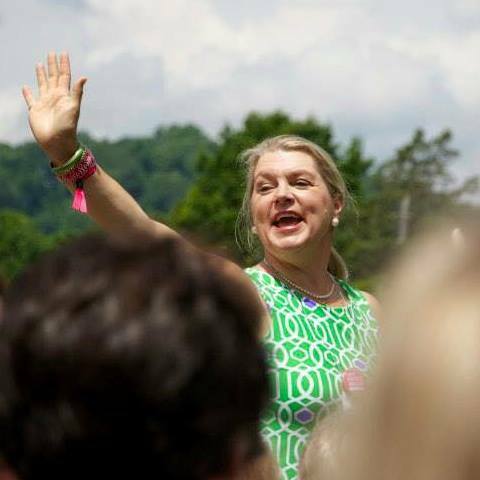 Today, August 25, 2015, the very day when the College was to close, students flock back to Sweet Briar College. There are faculty, staff, community members and alumnae there to welcome them. There are inspiring banners, welcome home signs, special treats and lots of pink and green. 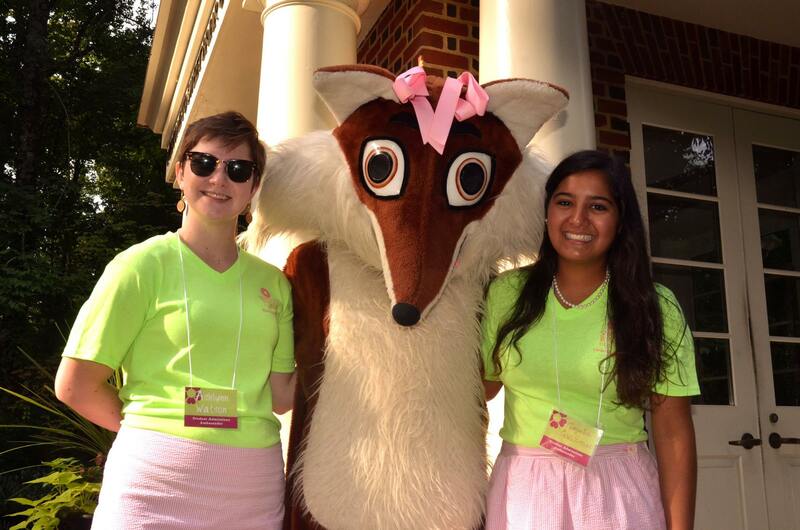 Sweet Briar already has a mascot, a Vixen. We didn’t have a Vixen in a suit when I was there, but I do find her very cute. Seeing all that has been accomplished since March, 2015, Sweet Briar is deserving of the “Phoenix” symbol — a bird that rose from the ashes. Given that it is hard to find a living phoenix or even a sculpted one, I think the story of the “pink perfection flamingo” also rising “phoenixlike” provides some inspiration for a mascot for the fight to save Sweet Briar. I will never look at a pair of pink flamingos in the same way again. Pink perfection indeed! Story addendum – several people have shared with me that the late Jennifer Crispen, beloved coach and mentor, had flamingos in her yard at Sweet Briar. They were both amusing and some said a silent form of protest (“Sweet Briar is more garden club than lawn ornament”). Professor Alix Ingber sent me this photo. 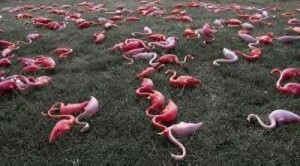 Flamingos on the lawn of the late Jennifer Crispen.